(PRLEAP.COM) February 13, 2019 - San Diego, CA: Today Career Conext launched software that streamlines ambassador referral programs in the career and community college space. 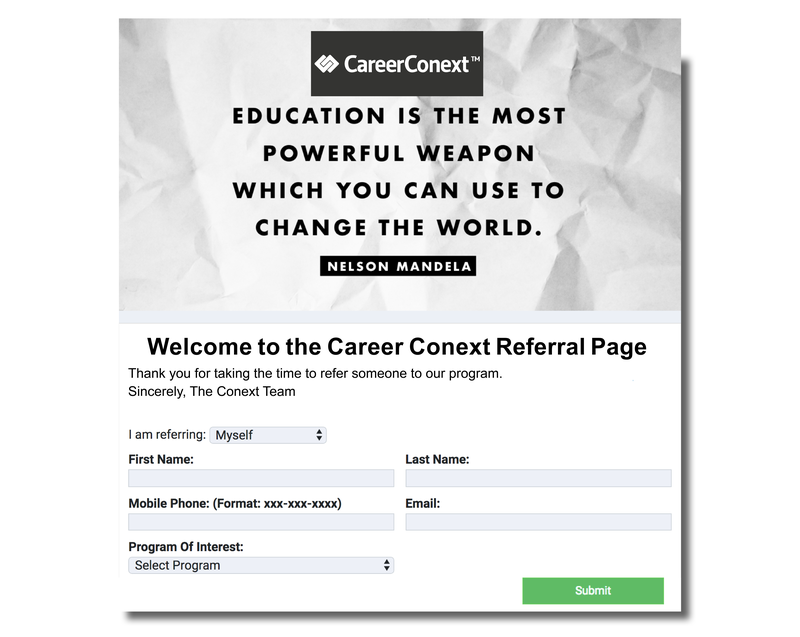 The Career Conext software automates the creation and disbursement of short URL links for students, graduates, and faculty to share and promote across any platform including social media, email footers and via text. An ambassador referral program is an organic method to grow business and a loyal customer base. 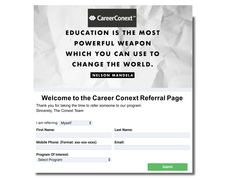 "Referral programs are the best method to enroll new students," according to Mike O'Brien, CEO of CareerConext. "Our software automates and personalized the process at the time. 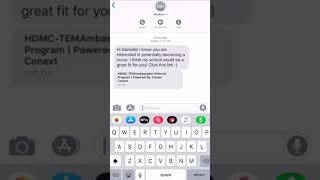 Schools using our Referral Ambassador program increase their referrals by 50% to 100%." To drive participant action, offering ambassador incentives has proven to increase program performance. According to a study conducted by Ivan Misner and Robert Davis in their book Business by Referral, "incentives were found to be one of the most important methods of generating referrals […] Incentives can range from simple recognition to monetary rewards based on business generated." The Career Conext platform facilitates seamless program management with all communication to students, graduates, and faculty fully automated. Real-time detailed analytics of program performance is easily accessible to school leadership with all actions recorded. Conext Bridge enables your career services team to create job alerts for graduates with one click from 2.5 million jobs we import every day, getting students the jobs they need by email and text – automatically.